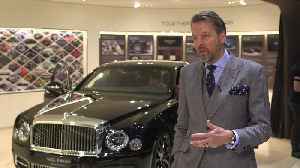 Bentley has enjoyed a year of international recognition for the new Continental GT – the world’s pinnacle Grand Tourer – picking up an impressive number of accolades. World-leading style experts, GQ magazine, picked the ultimate grand tourer for its ‘Best Interior (And Possibly Exterior)’ award. It wrote: “Bentley’s challenge was to locate the sweet spot where hi-tech intersects with fabulous luxury. 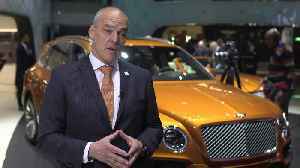 Challenge met.” It added that “Bentley has created a stunning environment… Best interior? Yes, and the rest.” In naming it ‘GT of the Year’, BBC’s Top Gear magazine praised the Continental GT’s depth of engineering, with the publication describing it as “simply one of the most complete GT cars on the planet”. Particular praise was given to the car’s composure on road, making it “easier than ever to thread through the tricky bits”. 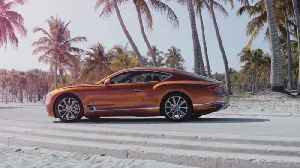 In the inaugural News UK Motor Awards, including the Times and Sun titles, the Continental GT was named ‘Luxury Car of the Year’. The judges noted that “the cabin feels as sumptuously appointed as the Princess Grace Suite at the Hotel de Paris Monte-Carlo” and that “unlike many sports cars, you’ll arrive feeling as relaxed as when the journey started”. 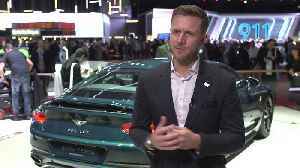 Bentley is introducing two new versions of its third generation Continental GT and GT Convertible models this year. 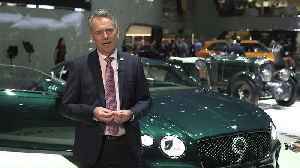 The definitive luxury Grand Tourer is now available for US customer order with a..
Bentley celebrates its Centenary at this year’s Geneva International Motor Show with a range of new models, including a highly evocative new Centenary Limited Edition, inspired by one of the British..